I wore this outfit to go see Jim Gaffigan last Friday night. I had to re-create it for The Creative Closet because I LOVED it. Please excuse the crappy photos out my front door, I'm still not a fashion blogger to any extent. I didn't have time Monday night to find a pile of leaves or visit a pumpkin patch so I feel I failed at this prompt slightly. It's the thought that counts though right? 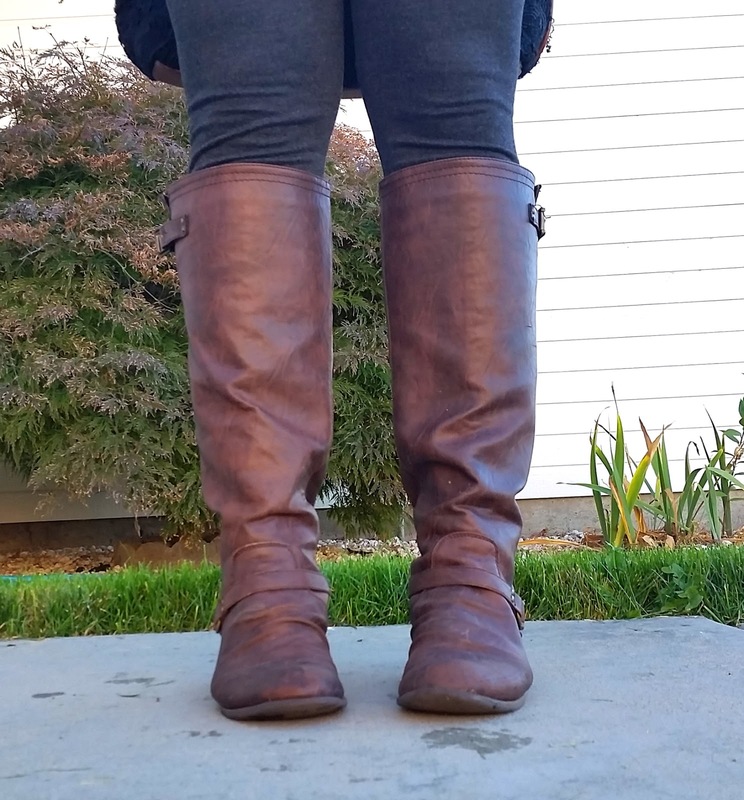 There's nothing like boots with leggings. Am I right ladies? Especially my favorite pair of riding boots. I bought these at UrbanOG.com. I can't praise that site enough - it's my go-to boot shop. They are reasonably priced, shipped quickly and I have loved every single pair I have ordered. Top it with a black T-shirt dress and some accessories and you have a show-appropriate look, perfect for date night. It's a little lacking in color, but I feel with fall coming on it's ok to resort to my blacks and browns. Top it with leopard print and it makes it complete. 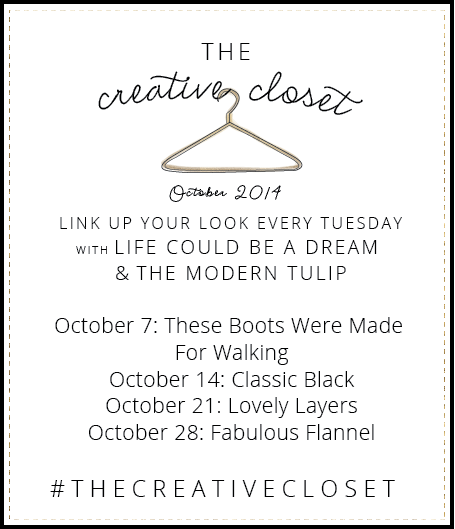 I know you're dying to bust out your boots for fall too, so come link up with Jana and Maegan for The Creative Closet! Or join in as we make our way through October! LOVE IT! I want those boots! Putting together a cute outfit makes you a fashion blogger :) You did great! 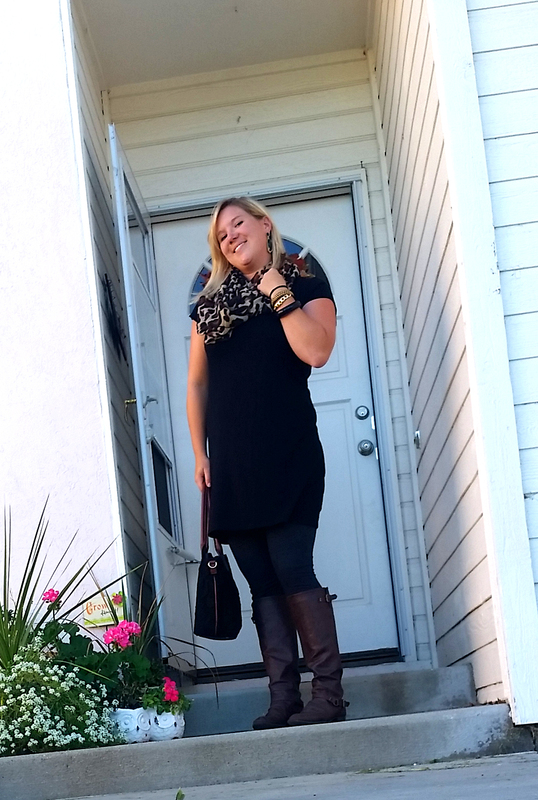 Love the black + print + boots. The whole outfit just....works! You look so sassy with your pop of leopard. Love it! love the boots! you saw Jim Gaffigan?! that's awesome! jealous! 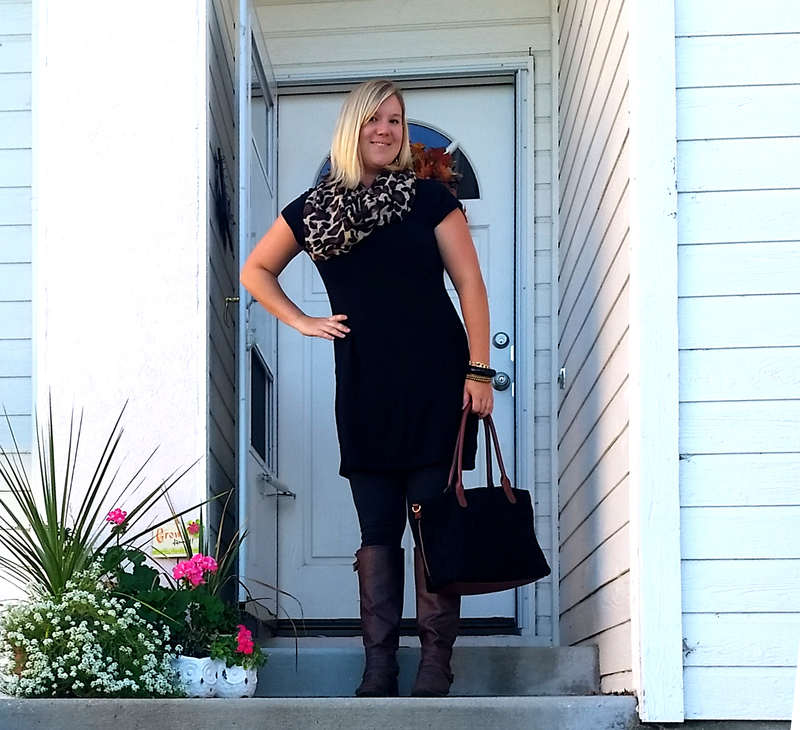 Black on black outfits are perfect for date night! 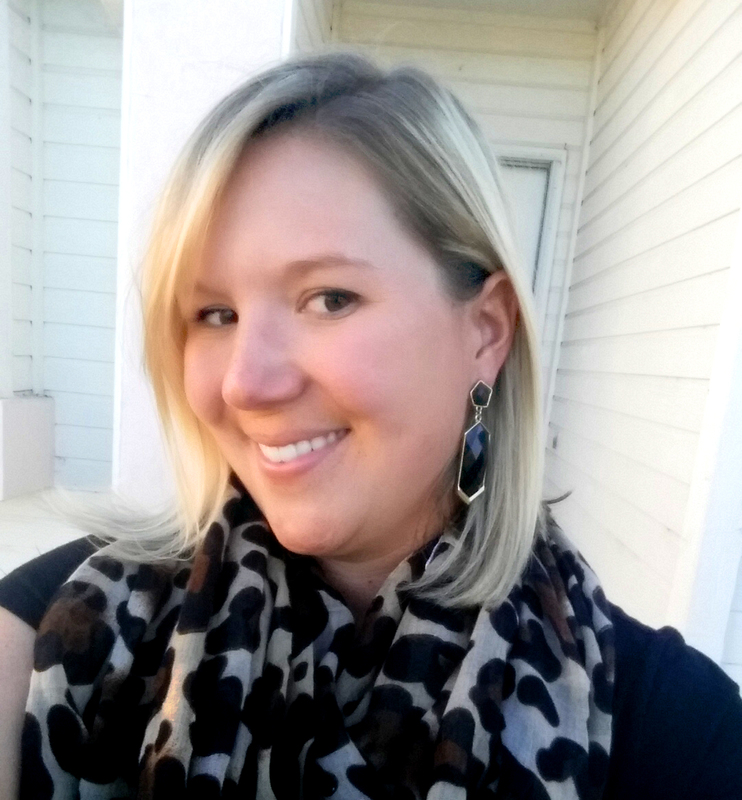 :) I love the leopard scarf and the earrings with it too. Oh, I love some good leopard! Darling look!